I have a small retirement cottage on Box Hill and currently work on the Eurostar line London to Paris. My interest in local history made me research at work Box Hill Tunnel and the myth of whether light shines through the tunnel at sunrise on Brunel’s birthday, 9 April. I came across a couple of articles which shed some light on the subject, should you wish. The following details are all from The Guardian of April 2017. Right: Inside the tunnel, photographed by Derek Hawkins in 2004, when he was invited to walk from the east end to the west. There was a unique opportunity to review the myth claim when the line was closed for electrification upgrades. Teams of men were positioned at the east and west portals to specifically check if sunrise could be seen on Brunel's birthday 9 April and whether Brunel deliberately designed the tunnel to do this. The newspaper reported that people on the eastern end had a spectacular view. One of them, manager Paul Gentleman, said, When you look from the east portal, the cutting provides a lovely V-shape... The sun rose from the left and was shining directly down the tunnel... It was fascinating to watch the sun as it nestled in the centre of that V as it rose – quite an astounding sight. When you look at it from that east portal you got the feeling that effect was definitely part of the design. The report went on to say that the effect would have been even more spectacular when it first opened 211 years earlier, because the interior was pristine and not smoke-blackened, as seen above. 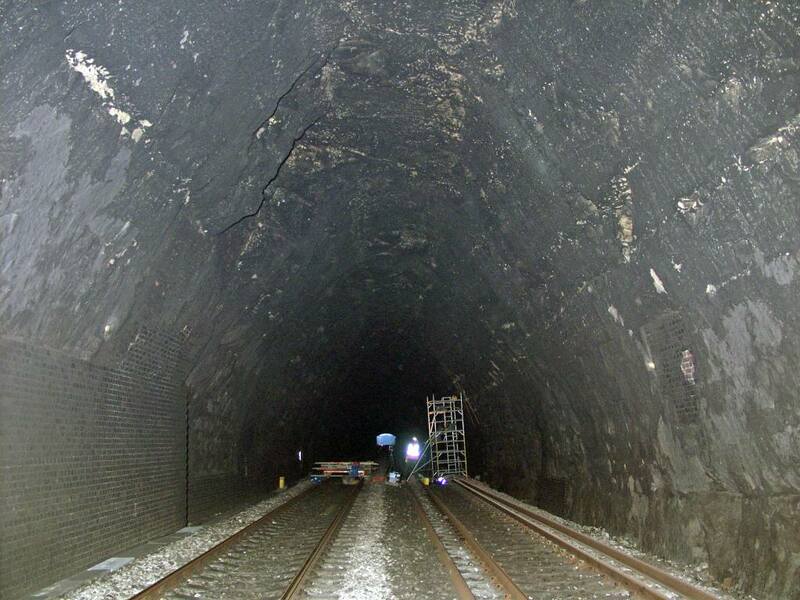 This seems to be the most definitive result that we are likely to obtain as the tunnel is not expected to be shut for so long again after this closure.